We have been cleared to have the remaining concrete slab poured on the high school campus for the kitchen and cafeteria areas. Due to the nature of the renovations, work is scheduled for Tuesday, April 16 beginning around 4:00am. This is the best time to have this work done and still have minimal disruptions. Student and public safety are of the utmost importance to us and we will continue to adjust as needed. 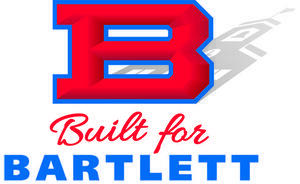 We appreciate your patience as we work towards building an even better Bartlett High School.